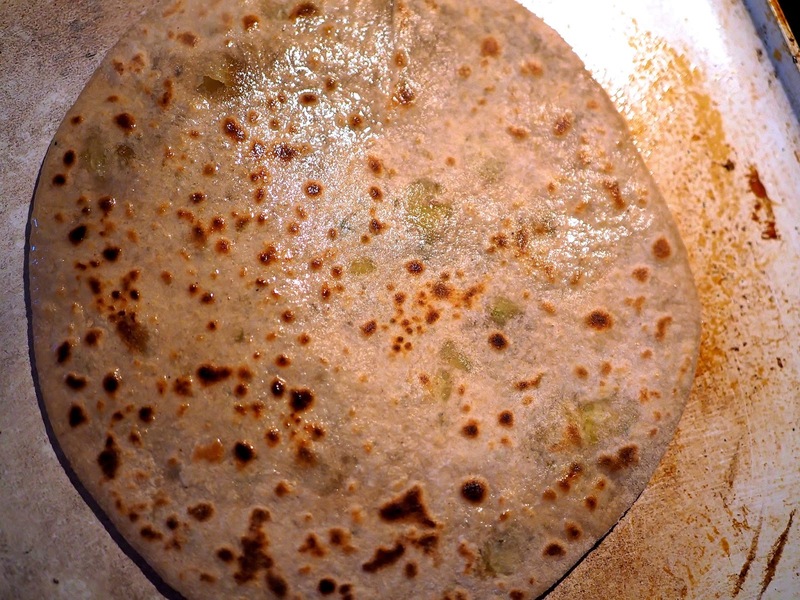 Paratha is a flatbread that is very popular in the Indian subcontinent. 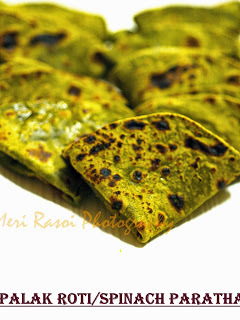 It is commonly prepared especially in northern India usually for breakfast. 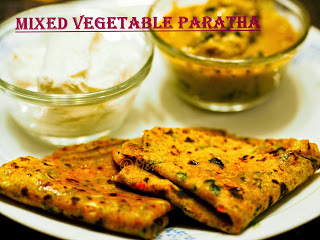 There are various types of parathas and every house has its own special way of preparing them. 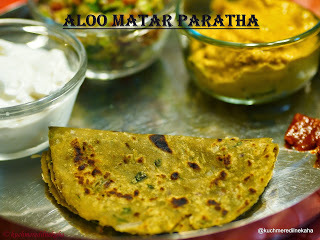 Today, I will share the most popular paratha "Aloo ka Paratha". 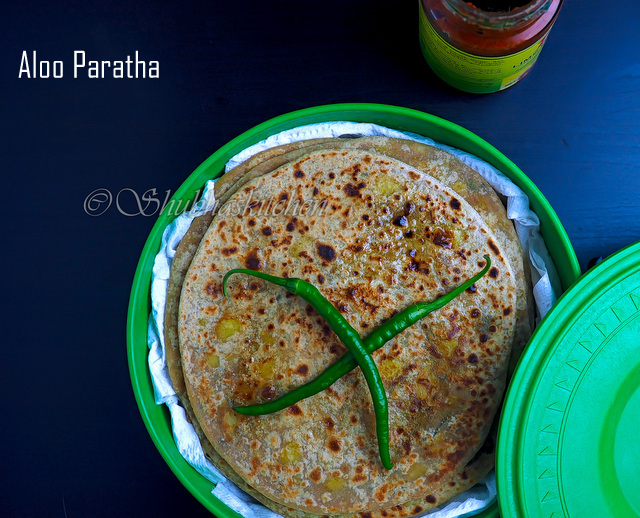 This paratha is a flat bread stuffed with a spicy potato filling. 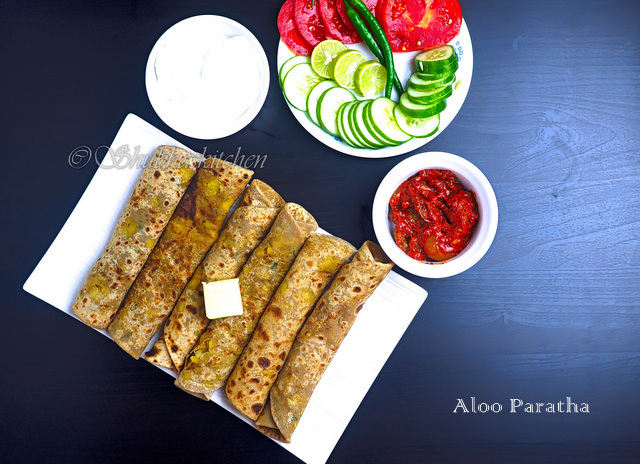 Serve Aloo Paratha with a cube/dollop of butter on top and some pickle(achar ) and yogurt on the side and you have a comforting meal. The recipe involves three steps. First , we prepare the spicy potato filling. Secondly, we prepare the dough and lastly we stuff the filling in the dough ball and roll them into a circle and cook it. Oil for frying the parathas. Wash the potatoes. Add these potatoes to a pot of water and boil them until tender. Once done, set it aside to cool it down. Once cooled, peel the skin from the potatoes. Mash the potatoes. See to it that there are no big chunks. 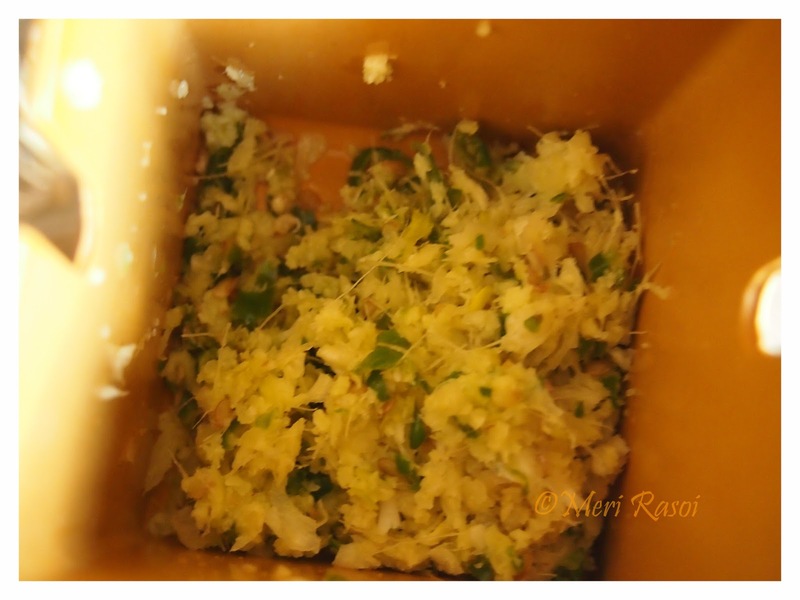 Finely crush / grind the ginger and chillies. Dry roast the coriander seeds and anardana seeds. Once done, cool it and then grind it into a fine powder. Heat 1 tbsp oil. When hot, add the ajwain / caraway seeds. Add the ginger - chilli mixture. Saute for a minute. Then add the mashed potatoes. Add the turmeric powder, coriander powder, garam masala and dry mango powder / amchur. Also add the freshly ground spice mix (made from the roasted coriander seeds and anardana seeds). Mix well. Add salt to taste and chopped cilantro leaves. Give a final mix and turn off the heat. Set it aside to cool. Make 11 or 12 balls of this stuffing. Take 2 cups of the wheat flour in a large mixing bowl. Add salt to it.Adding water little by little to the flour and knead it into a soft dough (soft but not sticky and very loose). I used approximately 1 cup of water).Add 1 tbsp of oil and give it a final knead. Cover the dough and set it aside to rest for 20 minutes. Divide the dough into 11 or 12 balls. Take one dough ball. Flatten it a little.Keep one stuffing ball in the center. Now gather the edges of the rolled dough to the center. Pinch it to seal it. Flatten it and dust it with some flour. 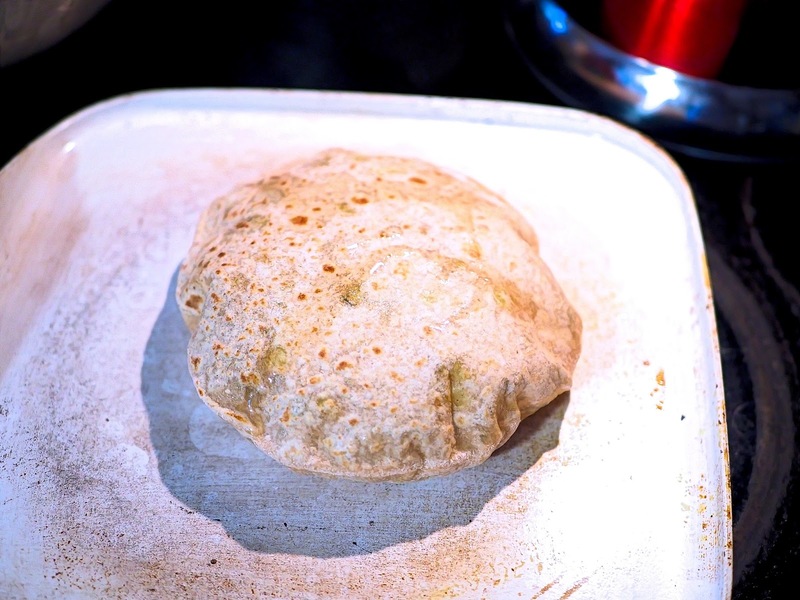 Roll the stuffed dough into a circle (do not roll it too thin). Heat a pan. 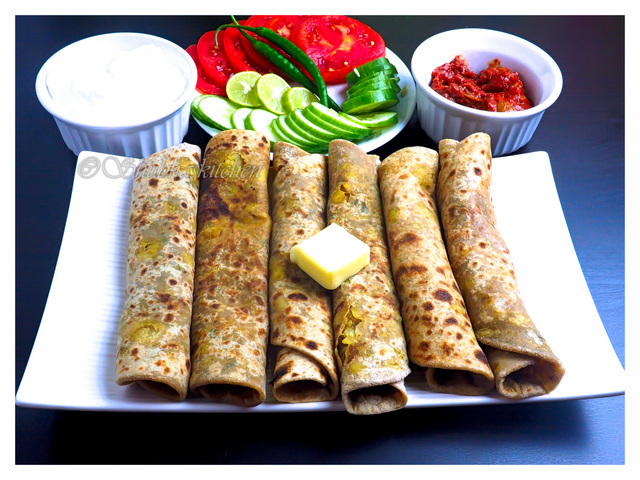 When hot, add the rolled the paratha. Cook for a few seconds or until you see some bubbles top. Flip it and cook the other side. Apply 1/2 tsp oil on the top surface . 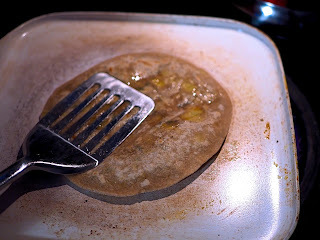 Turn the parathas again and apply 1/2 tsp oil on the other side. Using the backside of a flat spatula, press the paratha well so that it gets good well and evenly. As you press, the paratha will start puffing up. Flip it again and press the other side too in a similar way.Once it has beautiful even brown spots on both sides, take it out and serve immediately or store in an insulated container for later use. 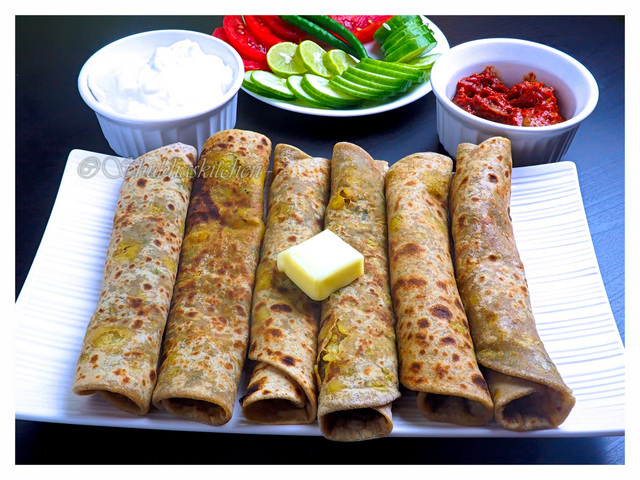 Serve hot parathas with a dollop or cube of butter with pickles (achar) and yogurt on the side. Wow Shubhs, the puffed up paratha on the Tawa is such a visual delight. The pleasure one gets on seeing such perfectly cooked food is truly unparalleled. 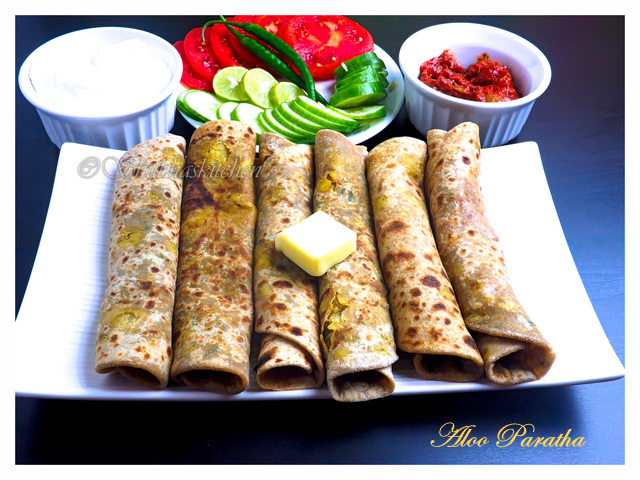 I totally love all the wonderful nuances you have incorporated in the Aloo Paratha. The pictures are so drool worthy. Yummmm yummmm. I wobble massively when I see any dish with potatoes. This is it. 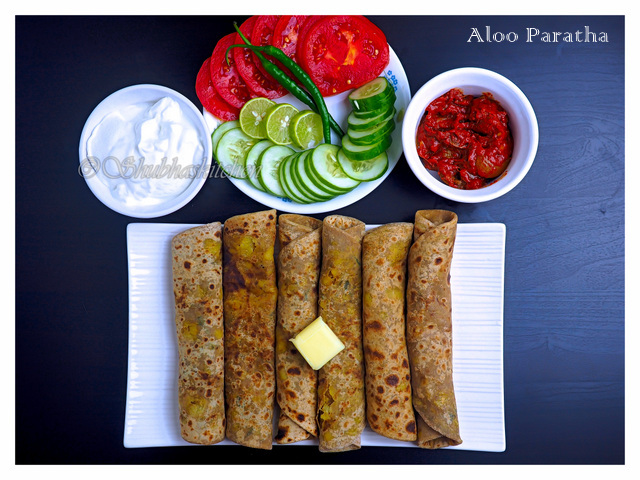 Wah such a comforting, home made aloo paratha... awesome presentation. Oh I love Aloo parathas and can have it any time any day! 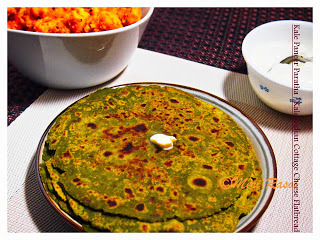 I remember those fingerlicking tasty Aloo parathas from Punjabi corner near my mom's place and I'm sure those parathas in these pics are just as perfect and delicious!